Like every other area of technology, digital entertainment never stands still. 2012 saw its share of advances and expensive new technologies, and here are some of the biggest goings-on in the past year. In 2011, Microsoft officially killed off the Zune, but kept the Zune music service around. In mid October of 2012, however, the company unleashed Xbox Music—and said goodbye to the last remnants of the Zune empire. Xbox Music on the Xbox. Xbox Music replaced the Zune service, bringing over its catalog and many of its features. The big change is that new features such as music purchasing and scan-and-match capabilities are restricted to Windows 8 PCs, Windows Phone 8 mobile devices, and the Xbox 360. Android and iOS support are promised as well. You can see how Xbox Music compares to other music services in our detailed comparison. In September, Apple offered a glimpse of an all new version of iTunes, and promised an October release for the updated multimedia jukebox and syncing software. 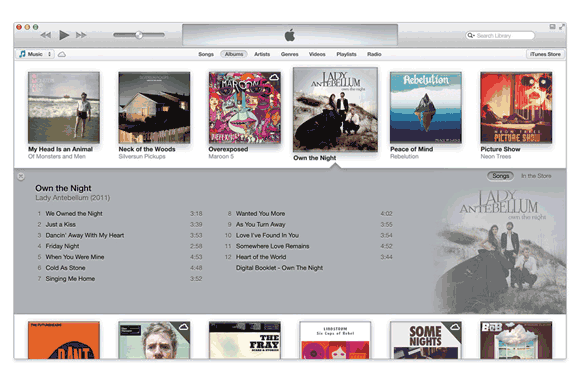 One of iTunes 11's new views. That turned out to be, well, wishful thinking, as the company announced just before Halloween that it really meant November. Even then, the software felt three-quarters baked and rushed out to meet Apple’s revised-yet-still-arbitrary deadline when it came out at the end of November. A minor update two weeks later returned some missing features and fixed some obvious performance issues. That awesome 65-inch 240Hz LED-backlit 1080p LCD HDTV you got for the holidays? Totally outdated already. OK, maybe not, but the industry would like you to start thinking about the next big thing in visual home entertainment: 4K resolution. The somewhat confusing term refers to a resolution with approximately 4000 horizontal pixels—as opposed to 1080p, which describes vertical pixels. Clear enough? The Consumer Electronics Associations doesn’t think so either, and is attempting to gave the latest technology a more user-friendly moniker of Ultra HD. To be specific, Ultra HD sets should have a resolution of at least 3840 pixels by 2160 pixels, with a 16:9 aspect ratio, and offer a digital input for native 4K video (not upconverting or scaling an HD signal). Sony's $25,000, 84-inch 4K HDTV. How much will the privilege cost you? LG is selling its first Ultra HD TV in the U.S. for $20,000, while Sony’s XBR-84X900 costs $25,000. Both are modestly sized at 84 diagonal inches. Of course, there’s not a lot of content to actually watch in Ultra HD resolution right now. To make its offering more attractive, Sony is packaging a server with its flagship 4K TV that includes 10 movies in the new format. In 2012, Apple’s ‘hobby’ product got a boost as the third-generation Apple TV brought with it support for 1080p video and a major UI update for the new and previous models added support for Hulu Plus among other things. And don’t forget to read our “6 tips for getting more from your Apple TV”. The new Apple TV interface. Streaming king Roku added a new form factor to its lineup. The Roku Streaming Stick brings all the functionality of the high-end Roku 2 XS in a small, port-powered stick that you can control with your TVs remote. The catch? The $100 Streaming Stick only works with Mobile High-Definition Link (aka MHL) ports, of which there are few right now. Roku also added a new search channel—conveniently called Roku Search—that lets you search Netflix, Amazon Instant Video, Hulu Plus, Crackle, Vudu, and HBO Go for almost 130,000 movies and TV episodes, as well as 100,000 actors and directors. Roku Search works with Roku 2, Roku LT, and newer Roku HD players, as well as the Roku Streaming Stick. Meanwhile, Boxee unveiled the Boxee TV, a $99 set-top box with dual tuners that support a $15-a-month cloud-based DVR service with unlimited storage. Boxee TV lets you watch over-the-air or basic cable TV and record up to two shows at a time. 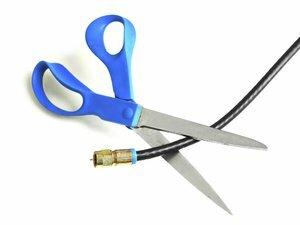 Through a network connection (ethernet or Wi-Fi), you can also stream media from popular Internet sites and services, including Netflix, Vudu, Pandora, YouTube, and Vimeo. The optional Cloud DVR service launched in Atlanta, Chicago, Dallas, Houston, Los Angeles, New York, Philadelphia, and Washington, D.C., but will expand to other cities as well. Confused about all the different streaming boxes out there? Check out our Media streaming buying guide to sort through the haze. In November, Apple’s iTunes Match celebrated its one-year (U.S) anniversary. The $25-a-year service, which scans your iTunes library and instantly make any tracks matched with Apple’s music catalog available on your computers and iOS devices, hasn’t really changed much by its first birthday. What has changed is that in 2012 Apple was no longer the only kid on the block when it comes to scanning and matching your music (possibly because Apple did all the heavy lifting negotiating with record labels earlier to convince them this was a good idea). iTunes Match turns one, but now faces competition. In July, Amazon took on Apple with its own service as part of its revamped Cloud Player ecosystem. 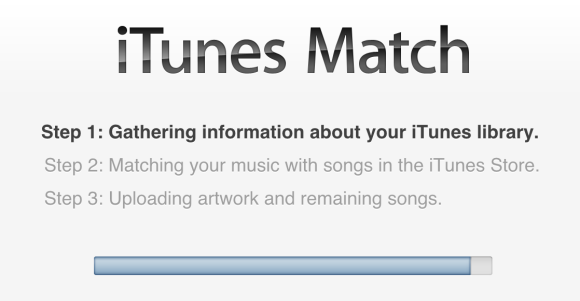 Like with Apple, $25 a year lets you match and access your music, and upload anything that doesn’t match up. You can also download 256-kbps versions of matched tracks (in MP3 format versus AAC from Apple) to replace your crummy CD-rips from the early 2000s. The difference is that iTunes Match lets you match and/or upload up to 25,000 tracks, while Amazon gives you 10 times the fun at 250,000 (or 250 for free, not including anything you’ve purchased from the Amazon MP3 service). And then, just under the 2013 gun, Google updated its Google Music service in mid December with matching features similar to Apple and Amazon, but without the pesky yearly fee. That’s right, Google gives you the ability to match/upload up to 20,000 tracks without paying a dime. One of my biggest complaints about iTunes Match is that the track limit is too small for serious music fans, and Apple doesn’t give you any tools to exclude songs from considerate or pay extra for additional storage. Amazon and Google may be willing to lose money to take some steam away from Apple here, and I hope the other companies’ efforts force Apple to pay some much-needed attention to its seemingly neglected service.